We are extremely pleased and excited to have been announced as one of the 8 schools selected to take part in the 4 year ‘Burberry Inspire’ Programme! The ‘Burberry Inspire’ programme has been created in partnership with the Ideas Foundation and The Burberry Foundation and is the first in-school arts and culture programme to study the impact of arts education on young people’s lives. The programme is to be delivered in eight schools across Yorkshire and will be run by four eminent, local organisations across theatre, film, dance and art: Leeds Playhouse, Leeds Young Film, Northern Ballet and The Hepworth Wakefield. We are very pleased to be working with Leeds Playhouse in the first instance. They have provided a dedicated Artist in Residence, Amy Lancelot, who is also the Creative Education Manager at Leeds Playhouse. 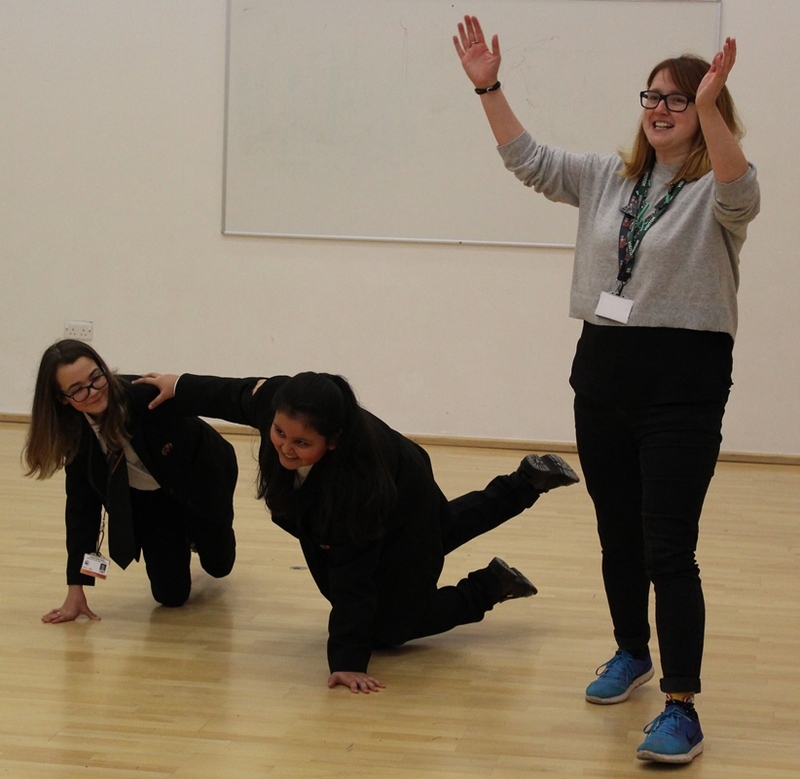 Amy is now working with teachers and students at the academy on a weekly basis to co-create drama and performance events, there is also opportunity for students to join a drama and performance club. 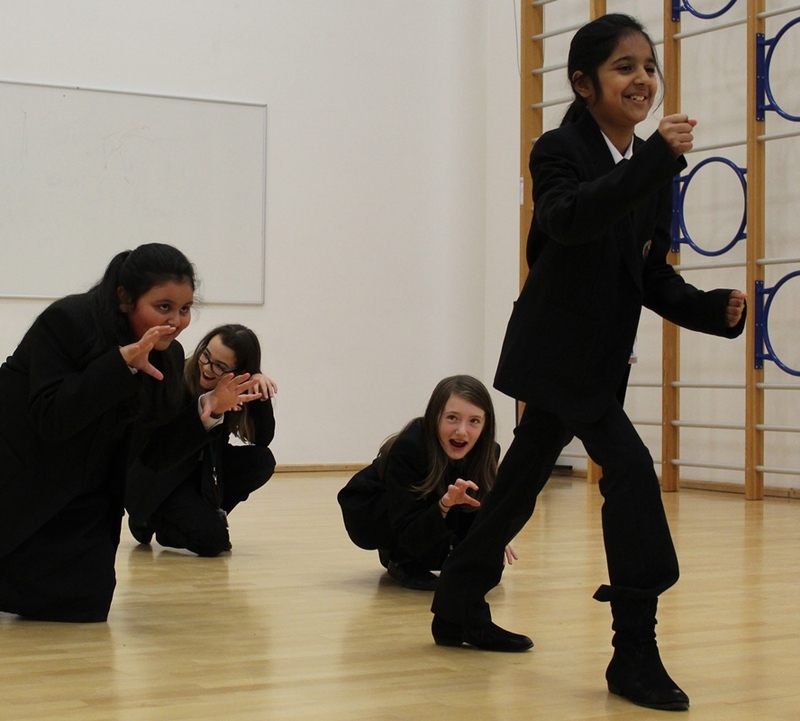 An outreach programme of visits and cultural experience is already underway for all of KS3 students. 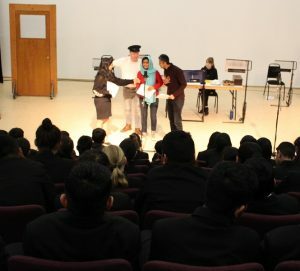 The first of such events was a performance of the radio play ‘Partition’ written by Keighley-born playwright Nick Ahad. 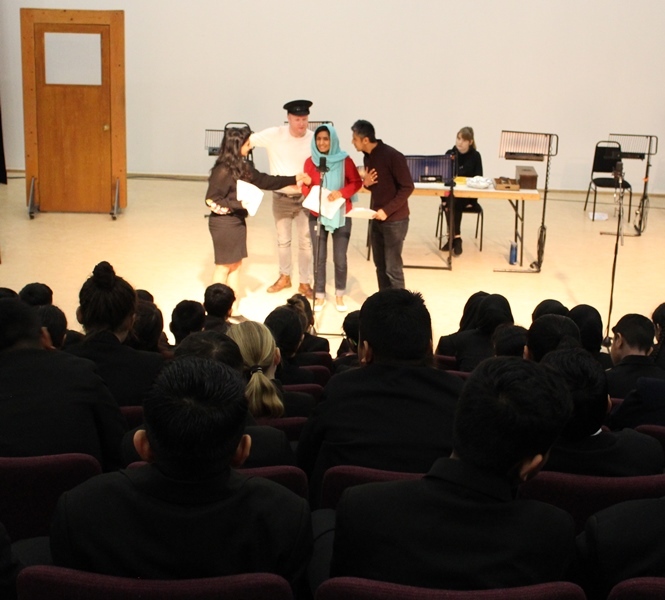 Cast members from Leeds Playhouse presented the story in the format of a radio play which gave students a valuable insight into the behind the scenes opportunities for creative jobs as well as acting roles. Pre performance workshops delivered by Leeds Playhouse also helped students understanding of the context behind the story. Each organisation will work with two schools per year, with all eight schools working with all four organisations by the end of the four-year programme. What an amazing and inspirational opportunity for all our learners!